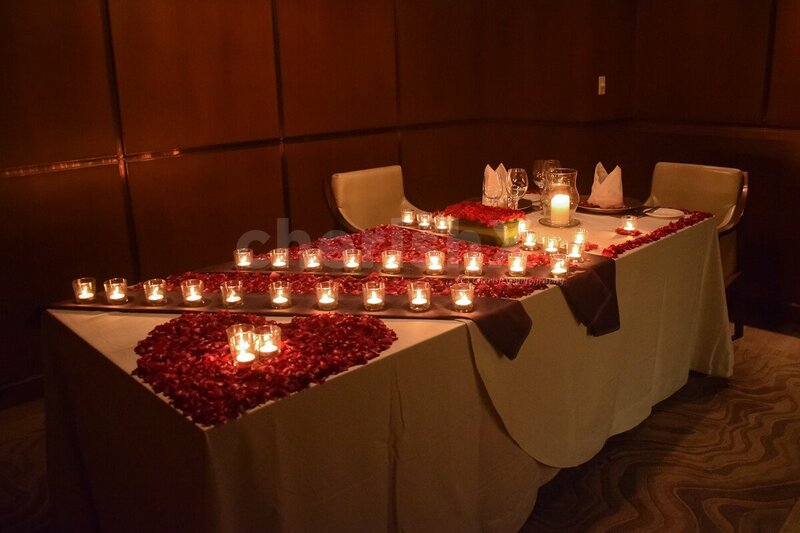 A private dining room reserved for the 2 of you with exquisite decorations, cake, bouquet, food and more! 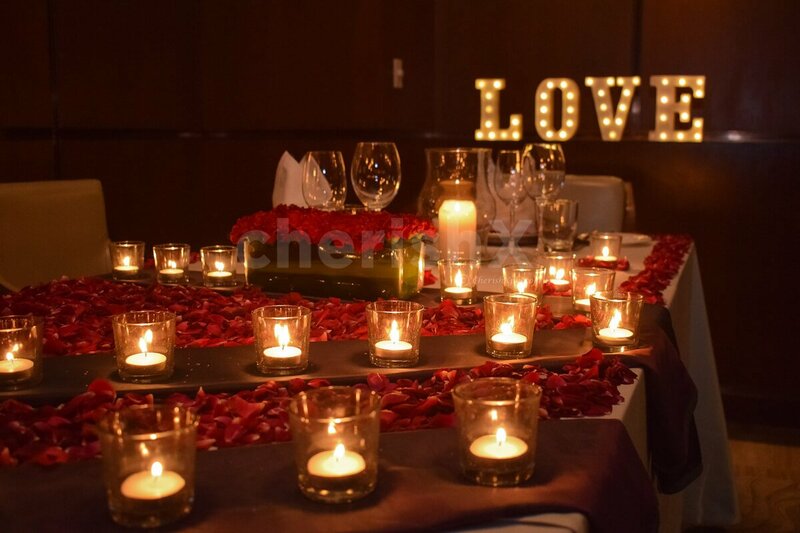 CherishX presents to you a stunning property that's not only breathtakingly beautiful but holds a charm to make a fan of you.Located in the Roseate-one of the Delhi's loveliest hotels- it is spread over a huge area & is amalgamation of contemporary & inherent beauty. 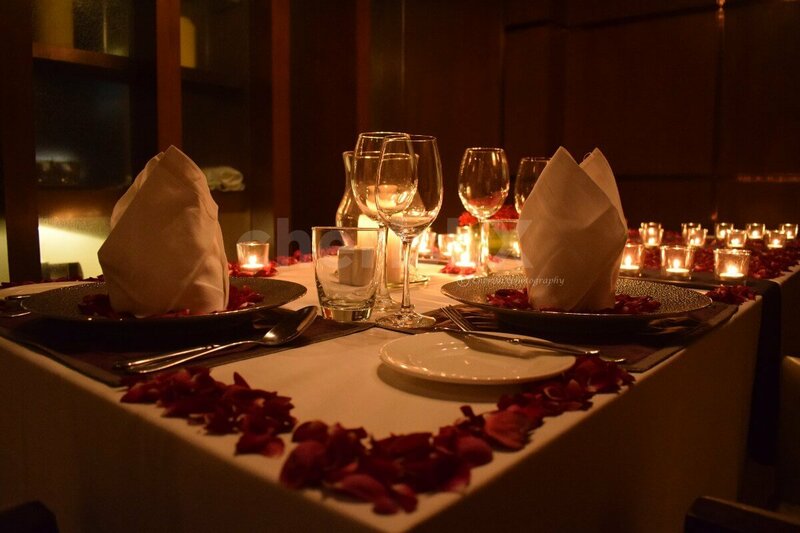 We highly suggest you plan a romantic getaway with your partner here, away from hustle & bustle & get aquainted with warm hospitality by the chef & staff. 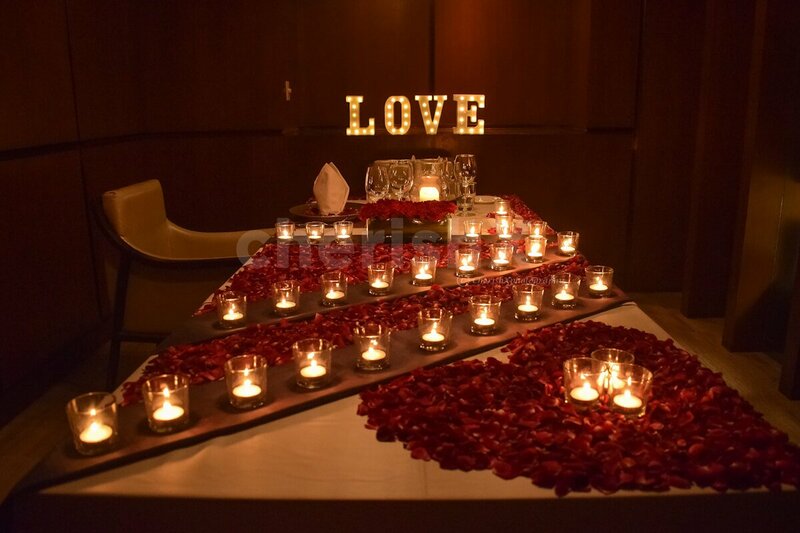 The moment you walk in a well decked up room, you will be overwhelmed by the decor. 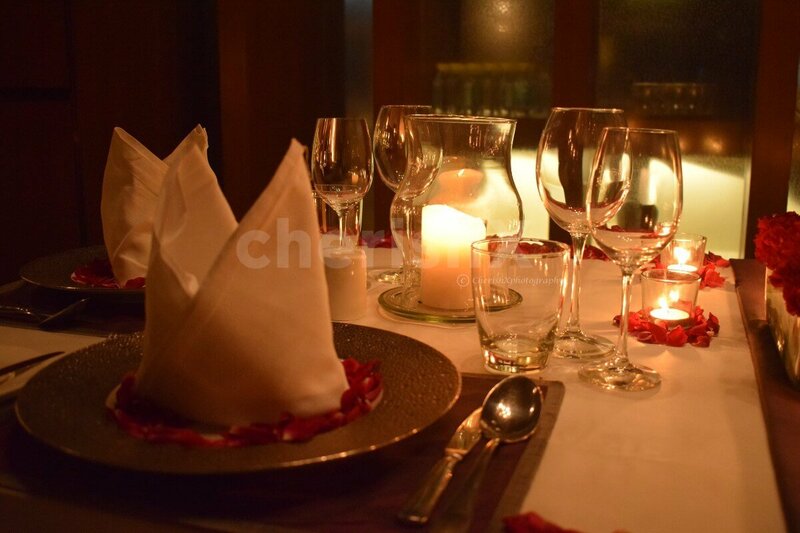 A combination of 3 things-food, ambience & service.The place is a little bit further than Delhi, nearby Rajokri, seems like a cross between a luxurious villa & a swanky boutique hotel.The private dining room is adorned with candles & fragrant rosepetals. Enjoy your 3 course meal at this beautiful property. The Thai food is outstanding here, even the European & North Indian dishes are finger licking good. 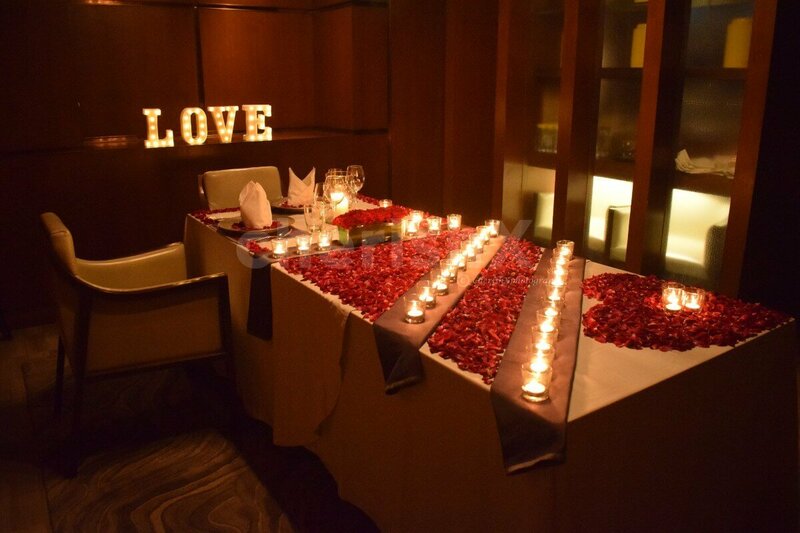 Its just so apt for Valentines among other romantic lunch/dinner with sweetheart! 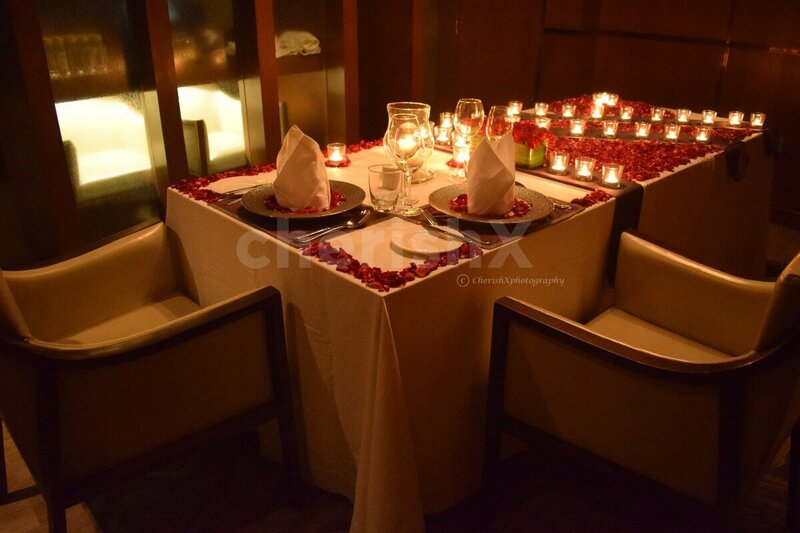 The decor is made in such a way that it steals your heart.The mellow music at the backdrop sets in the love vibe. 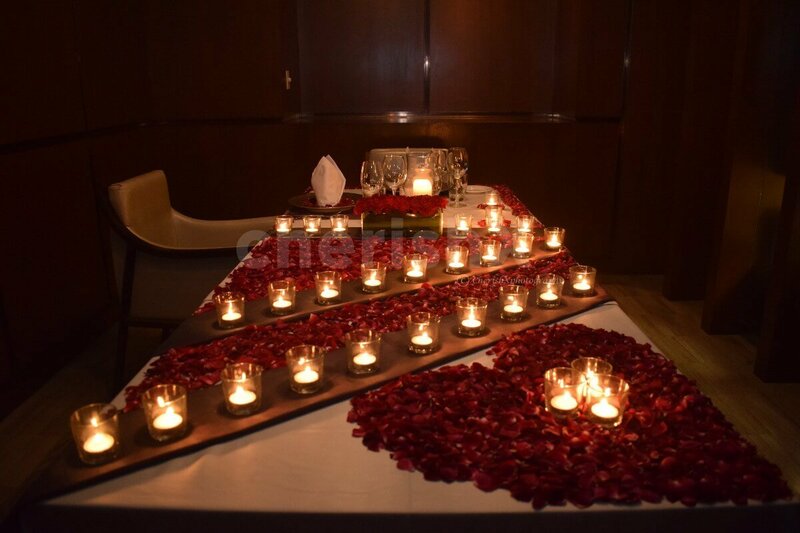 Perfect for the quaint romantic meals where ambiance counts.Customise your experience with a private guitarist, a rose bouquet, cake or even a pick & drop service among others. 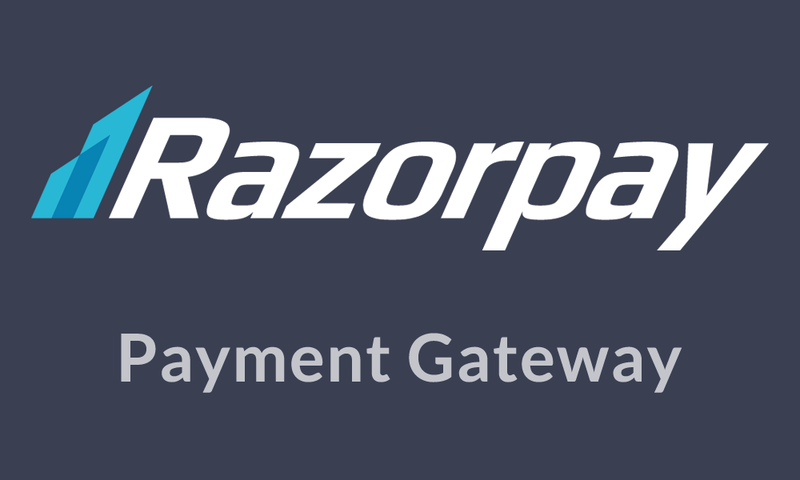 Checkout now!